This award recognizes individual faculty members who have provided exceptional mentorship, undergraduate research experiences, and, in parallel, guidance on admission and matriculation of these students to research-focused graduate programs in computing. Click here for award information. The nomination letter noted that Rexford provides “office space and a support network of helpful graduate students and postdocs to conduct nonjudgmental discussions. Despite being the Department Chair of Computer Science at Princeton, she still makes time to meet personally with her undergraduate advisees, often taking out more than an hour every week for each advisee. Mentees thrive in this supportive environment, becoming highly confident in their own skin…”. Selection committee: Nancy Amato (Texas A&M University), Jeff Forbes (Duke University), Pat Morreale (Kean University), Manuel Pérez Quiñones (UNC Charlotte), and Barbara Ryder (Virginia Tech, committee chair). 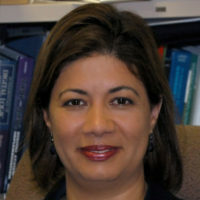 Nayda Santiago, Ph.D., is a professor of electrical and computer engineering at the University of Puerto Rico, Mayaguez Campus. Her research areas are computer performance evaluation and engineering education. Santiago is a founding member of the Computing Alliance of Hispanic Serving Institutions (CAHSI). For the past 12 years, she has been promoting undergraduate research and the Affinity Research Group model among the Hispanic Serving Institutions (HSIs) and in her own department. 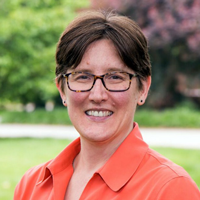 She also is active in FemProf, an organization aimed at encouraging undergraduate female computer science and computer engineering students to attend graduate school. Santiago has been recognized as a Distinguished Computer Engineer by the Puerto Rico Society of Professional Engineers and Surveyors, and has received honors for her educational achievements from the Hispanic Engineer National Achievement Awards Conference. Santiago has an impressive record of caringly mentoring of undergraduate researchers into high-quality computing graduate programs at Research I institutions. She communicates the possibilities for graduate study and a research career to her students, and since 2004, 21 of her 56 undergraduate research mentees have entered graduate school. In fall 2015, there were 35 undergraduate researchers working with her on 6 different projects, a department record. Santiago co-authors papers with her mentees and has them present their work at technical venues. These achievements are extraordinary because she is mentoring in a Hispanic-serving Masters I institution with limited internal resources for research support. Margo Seltzer, Ph.D., is the Herchel Smith professor of computer science and the faculty director of the Center for Research on Computation and Society in Harvard’s John A. Paulson School of Engineering and Applied Sciences. 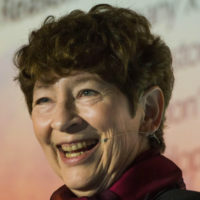 Her research in computer systems, broadly defined, includes systems for data provenance, transaction processing, new architectures for parallel execution, and healthcare informatics. 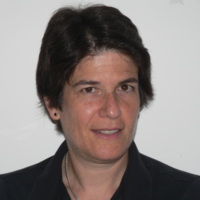 Seltzer also conducts research in pedagogy and the retention of women in computer science. 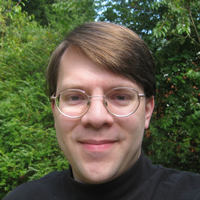 Seltzer is an ACM Fellow, a Sloan Foundation Fellow in computer science, and has won awards for mentoring and teaching from Harvard. 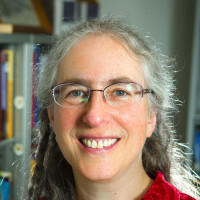 She is a member of the Computer Science and Telecommunications Board of the National Academies, and a past president of the USENIX Association. 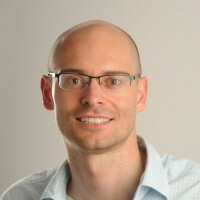 Pieter Abbeel is an associate professor of computer science at UC Berkeley. He works in machine learning and robotics, more specifically on making robots learn from people (apprenticeship learning) and how to make robots learn through their own trial and error (reinforcement learning). His robots have learned: advanced helicopter aerobatics, knot-tying, basic assembly, and organizing laundry. He currently advises and mentors 15 undergraduates. In 7 years on the faculty at UC Berkeley, the research opportunities he provided motivated 33 of his undergraduate mentees to pursue graduate programs in computing, with the majority pursuing or having received a Ph.D.
His successful mentoring of undergraduates focuses on early identification of students, individual encouragement to pursue research, weekly research meetings, discussion of research skills, ongoing advice about graduate school, and help during the graduate application process. 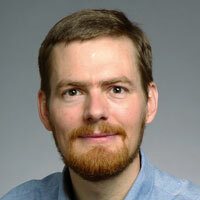 Pieter co-authored over 40 journal or conference publications with his undergraduate researchers. The number of undergraduates mentored, the high quality of the student accomplishments, and the regular, annual placement of his students in top-tier Ph.D. programs over the past decade, demonstrates not only the success of his approach but also his energy, dedication, and vision for his students. 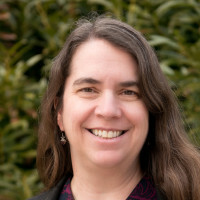 Marie desJardins is an associate dean of engineering and information technology and a professor of computer science at the University of Maryland, Baltimore County. Her research is in the area of artificial intelligence, machine learning, and computer science education. 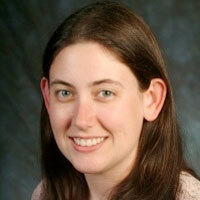 Currently, her research group includes six undergraduates and five graduate students. Since 2005, she has mentored over 70 undergraduate students. At least 29 of them have enrolled in graduate programs in computing, with 8 of the 29 having pursued a Ph.D. in computer science. Many of the undergraduates Marie has mentored never imagined that they would be involved in research and consider graduate education. Marie’s strategy for working with undergraduate majors involves engaging with students in their first two years and building teams in which her more senior research students (graduate and undergraduate) help train and lead the junior students. She is known for her unconditional support, encouragement, and dedication. She encourages students from underrepresented minorities to get involved with national organizations and programs, including CRA-W, NCWIT, Grace Hopper, IJCAI and AAAI. She stays in touch with her mentees beyond their graduation, and she has helped some to become effective mentors themselves. Judy Goldsmith is a professor of computer science at the University of Kentucky. Her research is in the area of artificial intelligence and theory of computation. She is dedicated to promoting participation of underrepresented groups, especially women, not only at University of Kentucky, but also other institutions in the state. Judy has mentored over 25 undergraduate students, involving them in her research program or in software projects. In the last 10 years, four of her mentored students have enrolled in Ph.D. programs in computer science. Judy’s mentoring approach is influenced by the diversity of students she encounters. Many students have worked to put themselves through college, are the first in their family to attend college, and may not know why one would attend graduate school. Judy gives attention to students in and outside of her classroom and provides an active model of mentoring. She works tirelessly on personalized ways to excite them about research, attract them to her research program and, most importantly, retain them. Her weekly AI Seminar doubles as a key mentoring experience for undergraduates. She provides all with a window into academic research and stresses the importance of professional training in conduct and engagement.